Regardless of your skill level, you can dial-in your golf equipment with a state-of-the-art custom club fitting at our Callaway Performance Center (CPC) in Hudson, NH. The Performance Center features industry changing Trackman 4 dual radar technology, which provides the greatest detail and accuracy of the club and ball at the moment of impact and during flight. The first radar system tracks everything the club does before, during, and after impact—including such key parameters as club path, face angle, swing direction and spin loft. The second radar system tracks the ball flight— including launch angle, spin rate and curvature. Based on your swing characteristics and launch conditions, the Trackman shot Optimizer shows the ideal range for launch angle, spin rate, ball speed, shot height and spin loft for every club in your bag. Our fitting specialist will use this information to match you to the best club head and shaft combination for your individual swing. 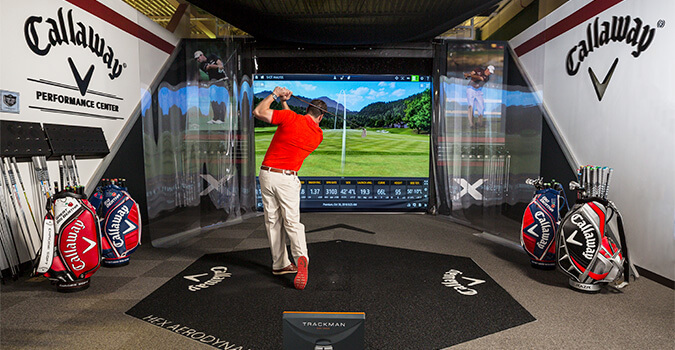 The Trackman Simulator environment allows us to simultaneously display all of this data as well as your full, down range 3-D ball flight trajectory from a variety of angles. All of the information you and your expert custom fitter need will be right there in front of you. At the CPC, you will work with one of our Callaway trained fitting specialists to test a wide selection of Callaway clubs and a variety of shafts, shaft flexes and lengths—all to find the clubs that best suit your game. We also have a significant selection of Odyssey putters in various lengths and lies to dial in your short game using the SAM PuttLab. You won’t find a better selection of fitting tools or more qualified fitting professionals anywhere in northern New England. Visit the Callaway Performance Center in Hudson for the ultimate in custom club fitting. 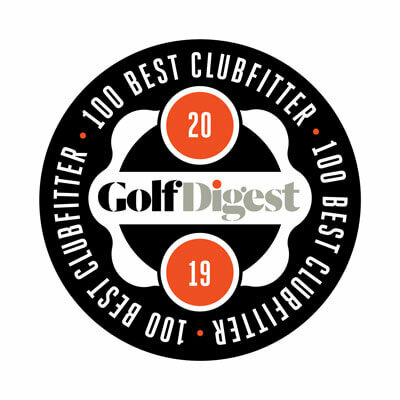 One of only 23 Callaway Performance Centers in the entire U.S.
A 50% credit of your fitting fee will be applied to a related purchase within 30 days of your fitting session. Call today to schedule your CPC custom fitting appointment, (603) 595-8484. Give your loved ones the gift of golf. Driver and Iron Set fitting session gift certificates (value $100) are available for sale in-store or by phone. Please stop by or call (603) 595-8484 for details.